Home » Students » What Can I Do? Step 2: Inputs include dry and green agricultural waste, grasses, etc., soaked with water and cattle-dung slurry followed by cattle dung, and soil is spread in a 1- to 2-inch thick layer. In case cattle dung is not available, the input may include kitchen waste comprising vegetable peels, egg shells, scraps and horticultural waste. The mixture is mixed daily so that it doesn’t become aerobic. This results in almost total decomposition of the matter, yielding brown homogeneous compost in about three months. The average nutrient content of compost prepared by this method is 0.8 per cent nitrogen (N), 0.3-0.5 per cent phosphorus pentoxide (P2O5)and 1-1.5 per cent potassium oxide (K2O). 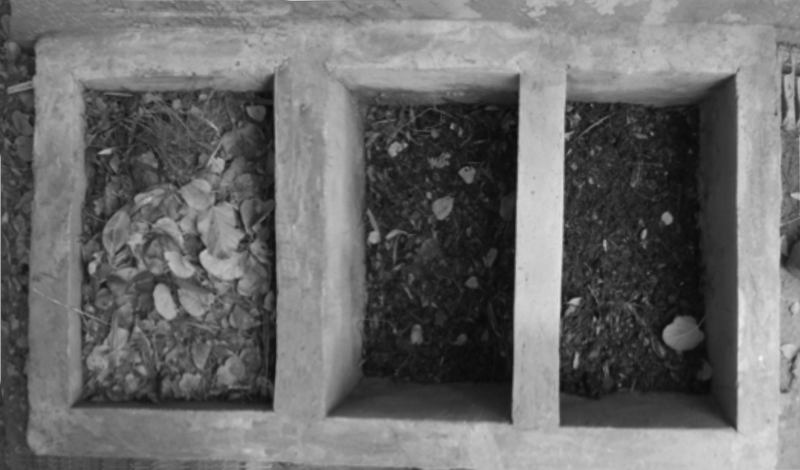 This method of composting, however, demands considerable labour in building up the heap/pit to a proper shape as well as periodical turnings, rendering it impractical and expensive where large quantities of materials have to be processed. A major disadvantage of this process is the heavy losses of organic matter and nitrogen (40-50 per cent of the initial). Try to compost horticultural waste first. Do NOT add cooked food into the pit. Also, avoid bones, dairy products, and meats that may attract pests and rodents. Add vegetable and fruit peel only. Do NOT add newspapers and other printed waste. Limited amounts of citrus can be added. Do not add any chemicals: no metals, plastics, glass, soaps. Grinding or blending the food waste in a food processor speeds the composting time considerably. Trash them not. How? Read on to figure out. It’s no secret that to make paper, trees are cut. Industries in India source their raw material for paper (i.e. wood) from farmers as opposed to commercial forest plantations in other countries. Did you know that paper has a high carbon footprint owing to the use of fossil fuels during the manufacturing process? It takes about 324 litres of water to make one kilogramme of paper. Paper which is made using recycled paper has been found to be less resource intensive. 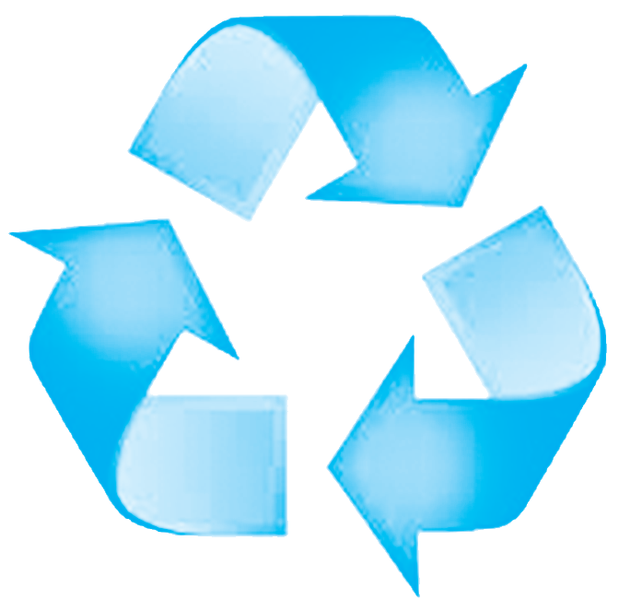 Recycling is thus central to water conservation. Here’s what the paper police found. Assume that Grade 6 has two sections, with 30 students in each section and the weight of science textbook is 1 kilogram. If every Grade 6 student (30 x 2 sections = 60 students) uses second-hand textbooks (in good condition) then approximately 19,440 litres of water can be saved. (We know that it takes about 324 litres of water to make one kg of paper.) Just imagine the amount of water that could be diverted to schools in order to meet their water consumption requirements. According to the Bureau of Indian Standards (2010), a school that runs for 6-8 hours uses 45 litres of water per day per student. Given an option, what would you like to do with paper? Burning it will only generate excessive energy and add to air emissions, making us choke further. And what will we do with the ash after burning? How about trashing it in a landfill? It will cost us space and burden transportation. make? Recycling 1 tonne of paper (907 kg) saves about 17 mature trees, 26,500 litres of water, 3 cubic yards of landfill space, 2 barrels of oil and 4,100 kilowatt hours of electricity! 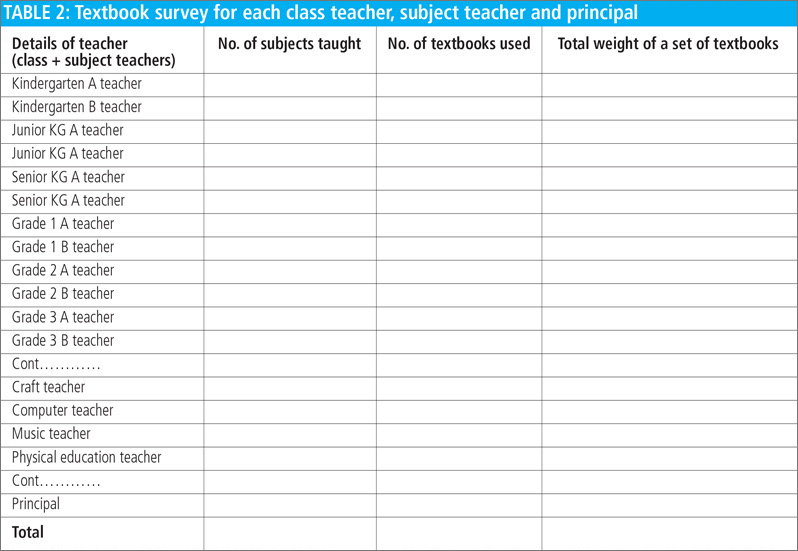 Do a textbook audit in your school to find the amount of textbooks your school generates in a year. 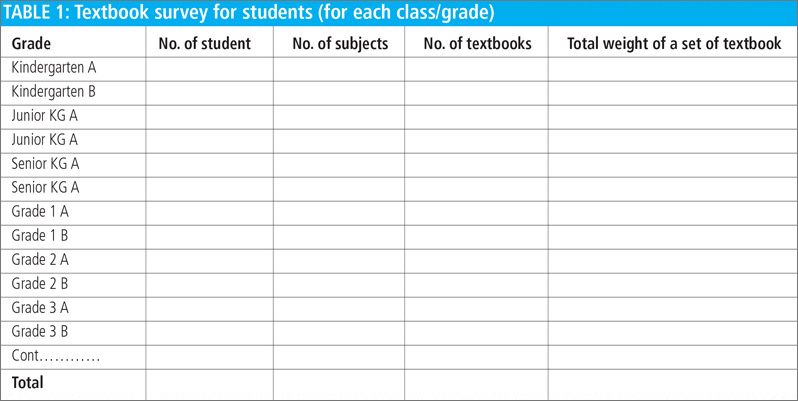 To know the quantity (kg) of the textbooks generated by students and teachers in your school, the audit team should ask the student and teachers to fill up the textbooks audit sheet (Table 1). After completing the audit, use the compiled information to fill up Table 2. 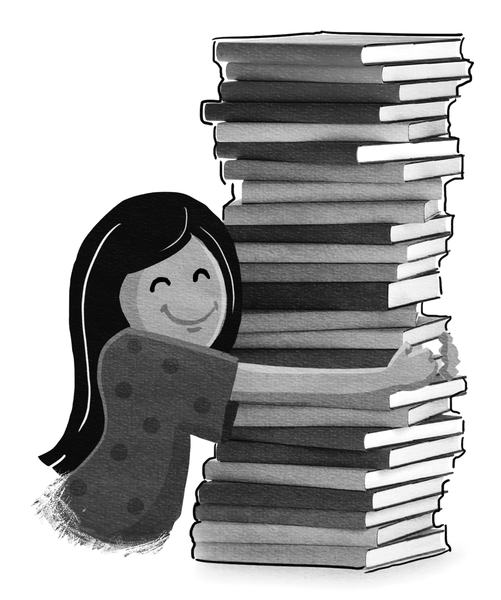 To find out quantity of textbooks generated, every year you will have to add the quantity of textbooks generated by students, their respective class teachers, subject teachers and the principal. 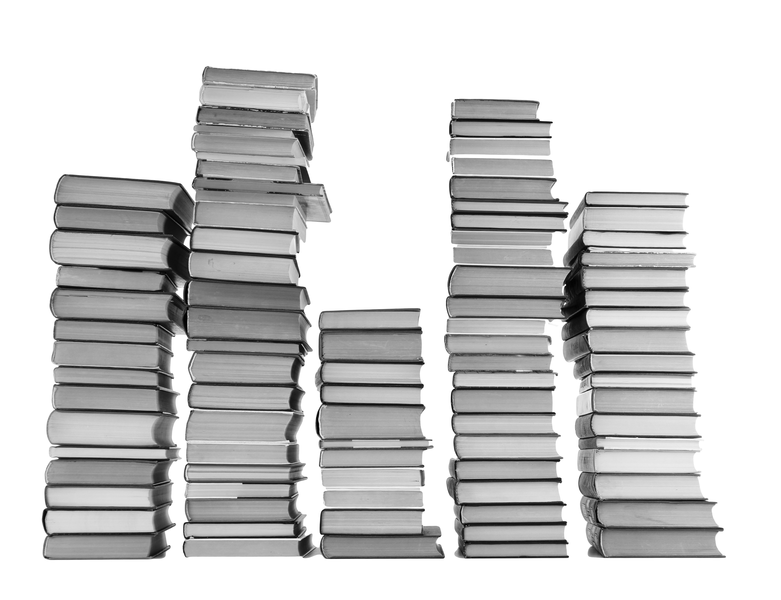 Implementing a textbook-reuse policy would be ideal for reducing paper usage, avoiding waste collection, transportation and disposal costs of paper. But there are a lot of other ways to reduce paper usage in schools. Borrow books from the school library instead of buying new ones. Purchase paper products that consist of a percentage of post-consumer content (used and recycled for reuse in another consumer product). Make sure that the pages are printed double-sided. Use computers to make presentations if possible, instead of poster paper. 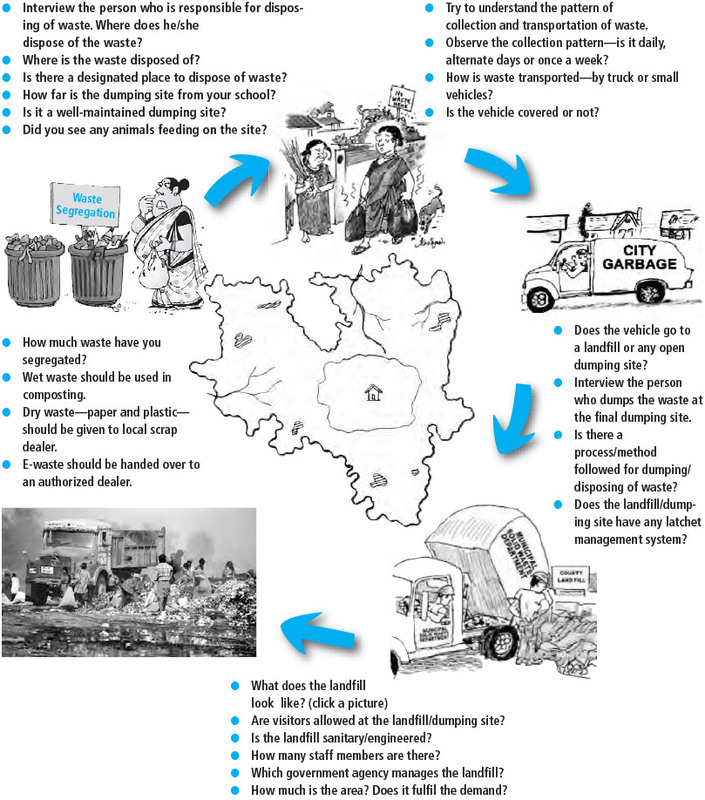 Who disposes of the waste?